Harry Alexander Marhoffer, Jr. (Skip) died peacefully on the morning of February 5, 2019 at the age of 88. He is survived by his three children, daughters, Nancy (Marhoffer) Martin, Cindy (Marhoffer) Duggan and son Doug Marhoffer, along with daughter-in-law Amy Marhoffer and son-in-law, Joe Duggan, as well as his six grandchildren, Buck and Lexi Martin, Kellen and Jolie Duggan, and Karen and Emily Marhoffer. Skip was born and raised in Wilton, CT, along with his sister, Judy (Marhoffer) Quimby, to parents, Harry Sr. and Gladys Marhoffer of Wilton. Skip attended West Virginia Wesleyan, where during his time there, played on the golf and football team and was president of Kappa Alpha Fraternity. After college, he entered the Navy, where he served in the Korean War on both the USS Noble and as a Lieutenant on the USS Delong. While serving his military tenure, he married and started a family. After ending his service, he began his long and prosperous business career, first with Burndy Electronics, then as President of J&G Electronics and finally with his own firm, Marhoffer and Garner Electric. Skip was an avid outdoorsman, who loved to golf and fish, and spend time with his family. He was beloved by his friends, who always enjoyed his company and his sense of humor. Skip also loved to spend his time with Veteran Services and attended many reunions with his fellow Naval friends. He was an expert lawn care specialist, whom he tried in vain to pass along those skills to his son all for naught. He did raise three children who are forever in debt to his generosity and his drive to always provide the best for them. We ask that if contributions are to be made, please make them to the Department of Veteran Services (DVA). 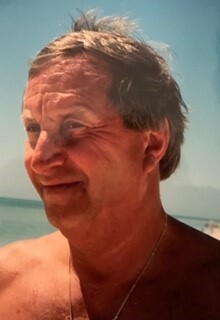 A private memorial service will be held in Connecticut at a later date. Sauls Funeral Home of Bluffton is assisting the family.